When it freezes outside, find mugs of wassail for all, some candles to accent the mood, and board games to draw you closer. We huddled around the table, our tough options before us: we either risk an outbreak in Algiers so we could eradicate the disease that infected Miami, or one of us could fly to Hong Kong and try to discover another cure. We had initially squandered the little time we had with a series of bad decisions, so we had to make these last few choices count. Or we—and the rest of humanity—would suffer. I flipped over a card to see what city would get infected next: London. We exhaled simultaneously. We now knew that the next player would be able to help treat the disease in Algiers while the rest of the players could help find a cure in Asia. If we drew the right cards on the next turn, we would have a shot to find that last cure and save the world. 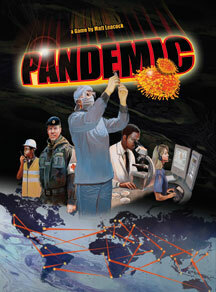 I bought the board game Pandemic (designed by Matt Leacock, Z-Man Games, 2008) a few weeks ago based on some glowing reviews, but I didn't realize how intense the game was going to be. Or how much teamwork it demanded. Or how often it would demand that I think on my feet. Or, ultimately, how insanely fun it was going to be. If, ten years ago, you would have told me I'd quake in giddy anticipation to play a cooperative board game where you're trying to stop infectious diseases from ravaging the planet, I would have scoffed. The few times my family played board games when I was a child involved lots of yawning and hesitant pauses that stretched past the ten-minute mark. This frustration is summed up fairly well in the BBC adaptation of Agatha Christie's short story "The Lost Mine," first aired on January 21, 1990. The great Belgian detective Hercule Poirot and his assistant Arthur Hastings perch over an Anglo-cized version of Monopoly, looking shrewdly at colourful wads of money fanned out in front of them. The game has worn them out, and their barbed comments to each other reflect this. "It would appear that skill plays but a little part in this game," Poirot muses at one point. After some more quipping, Hastings flicks his wrist and tosses a pair of dice onto the table top. He moves his token around the Monopoly board while Poirot looks on with a mixture of frustration and boredom. Poirot has a point. Lots of games, even broadly popular ones, have done nothing but perpetuate a "board = bored" mindset. That said, some of the best games I've encountered in the past few years not only require skill and strategy, but also have deeply ingrained themes that serve as a beacon for imaginative thought, and ultimately encourage players to be with other people. Some of the best examples of these sorts of games are labeled "German-style," though the days where these games were solely designed in that country are long gone. German-style games—sometimes known as Eurogames or designer games, if made by a well-regarded game developer—are considerably different than many cultural classics like Monopoly or Clue. German-style games can often be played quickly (compared to a three-hour game of Monopoly), have a substantial element of choice and strategy (as opposed to the "roll your dice, move your piece" type games), and keep all players involved the entire game (instead of eliminating players mid-game or having all players twiddle their thumbs when it's not their turn). The transition can be a jarring experience; even gateway games like The Settlers of Catan (designed by Klaus Teuber, Mayfair Games, 1995) can catch new players unaware, especially if you're used to the methodical plodding of some of the more traditional board games. Why Settlers serves as a great introductory game for new gamers is also why people keep returning to it: it's simple to learn and diverse enough to make it challenging and rewarding. 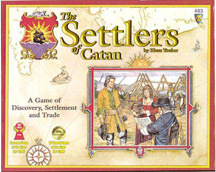 The players represent settlers on an island nation; on their turn they can gather resources, trade with other players, build larger settlements and strive for various goals. Like many other European-style games, even a novice player or someone with a low score can find ways to win or, at the very least, challenge the rest of the players. While there is some random element (a pair of dice dictate who gets what resources), everything else is left up to the players. Interaction, then, is key—trading is in the hands of everyone involved, so there isn't just one way to play the game "right." If you want to haggle for resources, you can, but players who choose to be more generous or more mercenary may do just as well in the game. And while many of these types of games depend greatly on innovative sets of rules, at their core are interaction and, well, talking. They're designed so you can pay attention to the people around you. 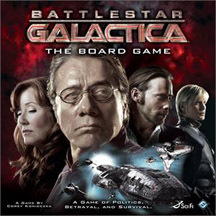 For instance, the great Battlestar Galactica (designed by Corey Konieczka, Eric M. Lang, Jeff Tidball and Mark O'Connor, Fantasy Flight Games, 2008), based on the recent version of the TV franchise, has all of the players working to find the spy in their midst. Modern Art (designed by Reiner Knizia, Mayfair Games, 1992) and Bohnanza (designed by Uwe Rosenberg, Rio Grande Games, 1997)—a personal favourite!—center around auctioning and trading, respectively. Even the best-selling card games Dominion (designed by Donald X. Vaccarino, Rio Grande Games, 2008) and Race For the Galaxy (designed by Thomas Lehmann, Rio Grande Games, 2007), which some gamers have labeled "multiplayer solitaire," play much better when you're paying attention to the other players and chatting with them. In fact, Race For the Galaxy is set up so that while you chose an action to perform each turn, all of the other players can do that as well. These games constantly remind you that people—friends, family, strangers—are sitting next to you, sharing in the experience. And what's even better is that many of these games are designed for everyone; some games have rules that might be complicated for younger children, but many families bond over German-style games. 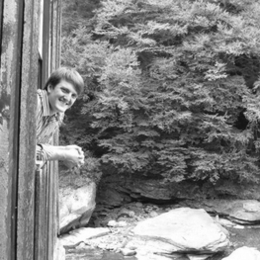 One of my closest friends grew up playing Settlers with his parents and siblings, and it's something he's never forgotten. Another aspect of hobby board games that I love is their themes, and how they're able to be vague enough to let your imagination run wild. The gateway game that sold me was Bang! (designed by Emiliano Sciarra, daVinci Games, 2002), a fast-paced card game where players all try to one-up each other in a Wild West setting. Taken alone, the game's rules could work in any setting; in fact, its rules are similar to the party game Mafia. But the game's design provides enough aesthetic touches that it feels like a Spaghetti Western. All of the typefaces on the cards look like they were lifted from a newspaper in Dodge City, and several editions of the game even have both Italian and English printed on the cards! 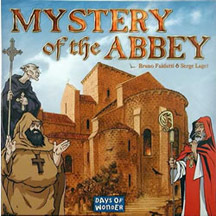 Another great example is Mystery of the Abbey (designed by Bruno Faidutti and Serge Laget, Days of Wonder, 1996), in which the players try to solve a monk's murder at a medieval French abbey. Players can ask each other about the murder in plainchant, swap ideas on the suspect during the various canonical times of prayer, and take vows of silence if they don't want to reveal that they know who the committed the murder. It's a lot like Clue, but with enough thematic hints to let the players run wild. There are lots of examples of German-style games where the themes don't work, but I'd say there are more that do. Arkham Horror (designed by Kevin Wilson and Richard Launius, Fantasy Flight Games, 2005), combines some of my favourite elements all in the same game. Based on the weird fiction of H.P. Lovecraft, the players all work together to stop bizarre events happening in 1920s Massachusetts. I love cooperative games like this: the players either win or lose as a group (usually the latter, since Arkham Horror is incredibly difficult). The game's theme is rich, too—all of the elements help build the creepy atmosphere and sense of dread, from the creative text on the cards to the lush art on the game board. It's certainly not for everyone: the setting might be a little too weird or creepy for some, and there are more rules than most board games. That said, I have so many great memories associated with this game—my friends and I scrambling to help each other out, our desperate attempts to try to find a way to stop the monsters, and our laughs at the end when our plan almost worked. Almost. As the Advent season draws to an end, I always look forward to spending time with loved ones, especially when the sun retires and the temperature drops. One of the most enjoyable ways I know to spend one of these cold nights is fellowshipping with friends—mugs of wassail for all, some candles to accent the mood, and a board game or two to challenge us, stretch our minds, and draw us closer. BoardGameGeek.com: The best resource on the Internet for anything board game-related. Here you can find discussions on pretty much any game ever made. Funagain Games: a brick and mortar game store in Oregon run by a small, friendly group of folks; they also have the best prices and selection for games on the Internet. 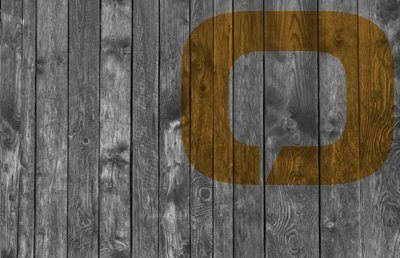 The Dice Tower: When he's not doing mission work in South Korea, Tom Vasel runs a great hub for board game reviews and commentary. 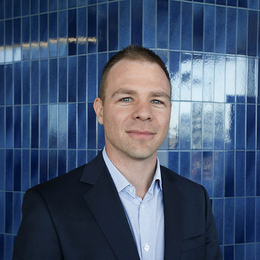 Jason Panella is the development associate for the Anglican Relief & Development Fund, and regularly writes for DVD Verdict and The Curator. Film sets, like every workplace, teem with challenges and opportunities. 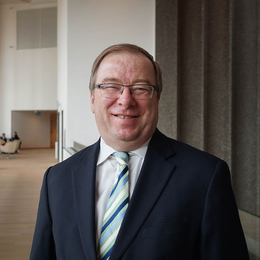 Viewing art is about fun, about lightening up, about being whimsical, right? Really? If that's true, I want nothing to do with it.